Ganesh Sitaraman (pictured) is a Professor of Law at Vanderbilt Law School and a Senior Fellow at the Center for American Progress. 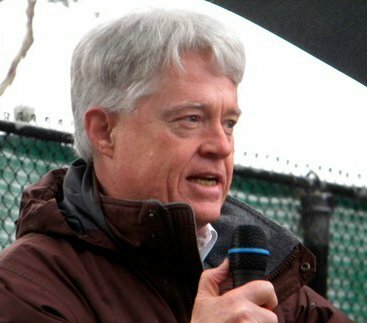 From 2011 to 2013, he served as Policy Director to Elizabeth Warren during her successful Senate campaign, and then as her Senior Counsel in the United States Senate. You can click here for links to Sitaraman's books, academic articles, and popular articles. 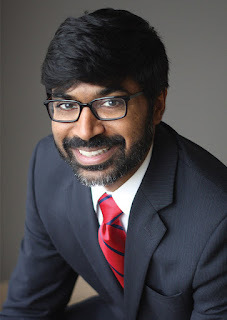 On September 16, 2017, The New York Times published Sitaraman's Op-Ed, titled "Our Constitution Wasn't Built For This." In this article, Sitaraman advances the view that the United States Constitution was not designed to operate in a situation, like our own, in which society is characterized by extensive economic inequality. I think Sitaraman is undoubtedly correct that within the political community as then defined (Native Americans, African-Americans, and women being categorically excluded), there was a great deal more economic equality in 1787, the year of the Philadelphia Constitutional Convention, than there is today. However, I don't think I agree that the Constitution is not able to function properly in today's society, even thought it wasn't "built for" our current conditions of economic inequality. While it is not easy to do it, our political system does allow all those qualified to vote (and that currently does include Native Americans, African-Americans, and women) to allocate the economic resources of the nation to support the purposes and projects upon which we, collectively, decide to embark. The conditions of our current economic inequality, in other words, can be changed. We live in a "political world," and our problems and challenges are "political," and not "constitutional." That, at least, is my view. The most wonderful thing about the Constitution is that it does not contemplate any specific economic, social, racial, religious, or other order. It works for all of us. It is, truly, "our" Constitution. Professor Sitaraman's ancestors were not on the Mayflower (that would be my bet). We are, in fact, a "nation of immigrants," and "Our Constitution," while not "built for" the society we have become, is fully functional and capable of responding to the needs of "We, the People," as we look around today, and discover who "we" are.